Thailand...Europe or desert adventure in Africa. These are usually the thoughts that come to mind while planning your next vacation. Why not Jordan? Below you will find the top reasons to give this tremendous country a visit one day. 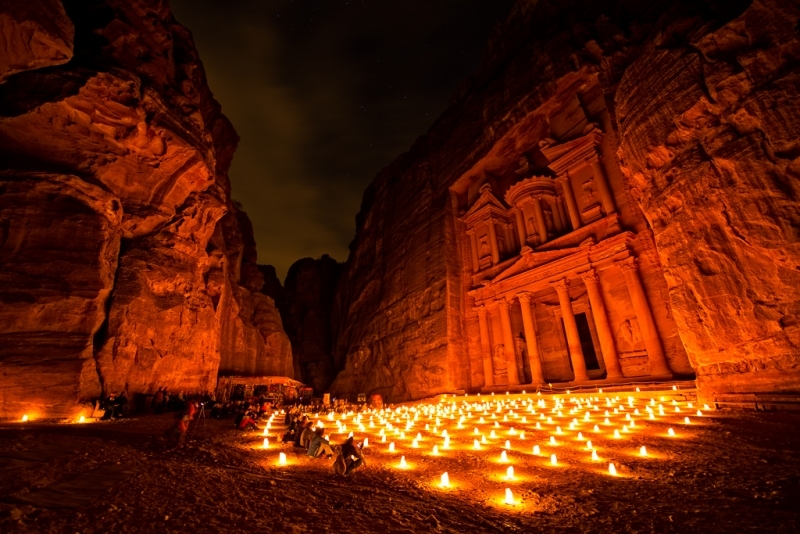 1- Jordan's "underestimated" treasures: the Treasury is the most magnificent of Petra's sights...not to mention that Petra was announced as one of the new Seven Wonders of the World. 2- Jordan is called the "Switzerland of the Middle East": Jordan assures a peaceful and stable political climate. Also, crime rates are among the lowest levels in the Middle East. 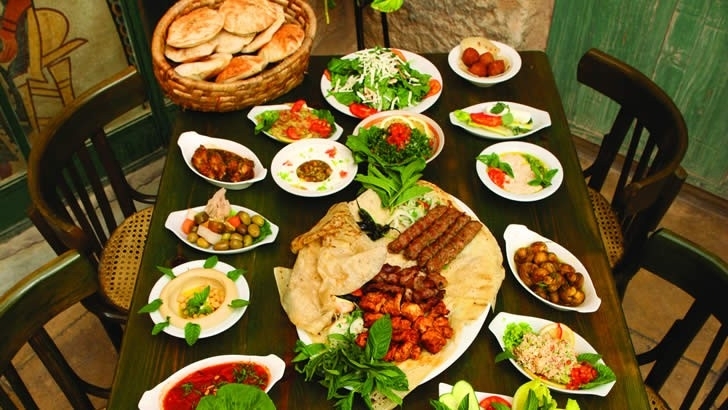 3- Food: if you are a foodie then you have to try their appetizers (pleasing even as snacks at any time of the day) like hummus, fatoush, baba ganoush, tabbouleh, Shawarma, and falafel. These are just the starters that await you. 4- Jordan offers a glimpse of everything: Petra's treasury, Jerash and its ancient Roman ruins, the Bedouins heritage at Wadi Rum, the crusader castles and the breathtaking view of the Dead Sea. Simply, in Jordan, it's difficult to choose how to have fun. 5- Islam is being practiced in this country in one of its milder forms: a visit to Jordan can really help you get rid of prejudices and stereotypes about Islam. 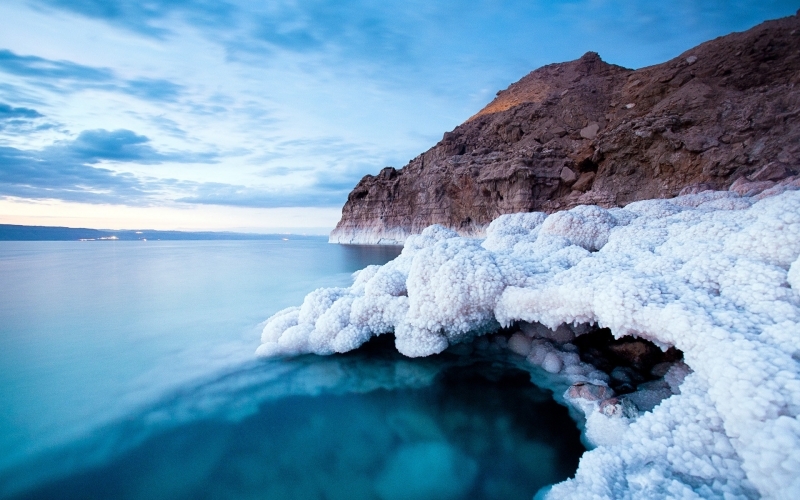 6- Dead Sea: we often speak about the highest peaks of the world and not the lowest. Well, the Dead Sea is the lowest point in the world at 394.6 m (1269 ft) below sea level. Grab the opportunity, explore this huge salt lake and Treat yourself to a luxurious mud mask. 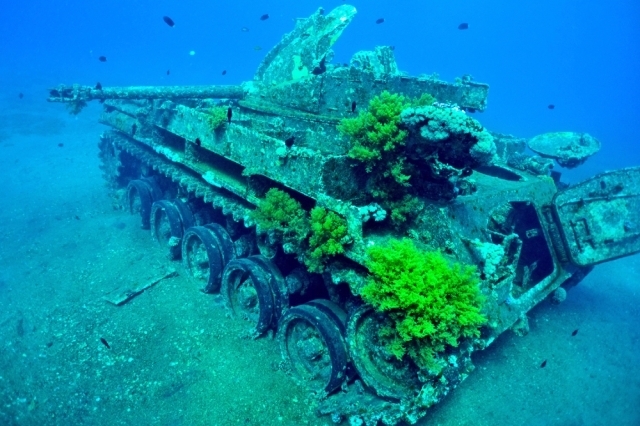 7- Aqaba: Backed by purple-tinted mountains that are rich in phosphates, Aqaba is Jordan's only outlet to the sea. Enjoy Aqaba's main attractions including some of the world's finest scuba diving and snorkeling, a full range of water sports. 8- Perhaps the main reason why Jordan is worth a trip: the people. Get ready to be wrapped in a warm climate that will make you feel at home. Book one of our Jordan Tours from Here.